Vaillant started out as a family owned business almost 140 years ago, Vaillant has gone on to lead the way in the development and manufacture of heating and hot water technology. Their international reputation is built on creating innovative products and solutions that have revolutionised the heating industry. From award-winning Vaillant boilers and hot water cylinders to intuitive controls and a host of advanced renewable technologies – all designed to use sustainable energy sources – Vaillant constantly strive to deliver on their promise to ‘think ahead’. Glow Green are proud to be a Vaillant Accredited Installer. 2 years interest free credit on Glow Green payment plans for boiler installations. Our Vaillant boilers come with up to 10 year warranty. Call us now on 0330 113 9488 for a free no-obligation quotation. We offer 2 years 0% finance and all our boilers come with a 10 year guarantee. What’s inside your Vaillant Boiler? 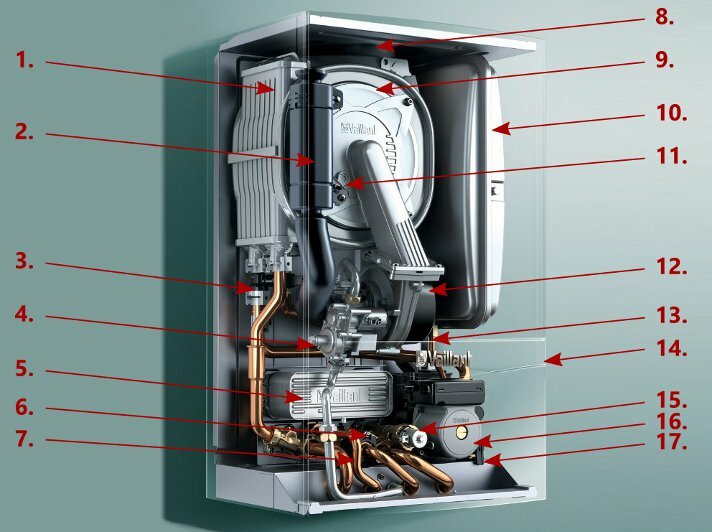 Have you ever wondered what parts are inside your Vaillant boiler? We’ve prepared an x-ray illustration showing off the main boiler parts taking a typical ecoTec Pro as an example. 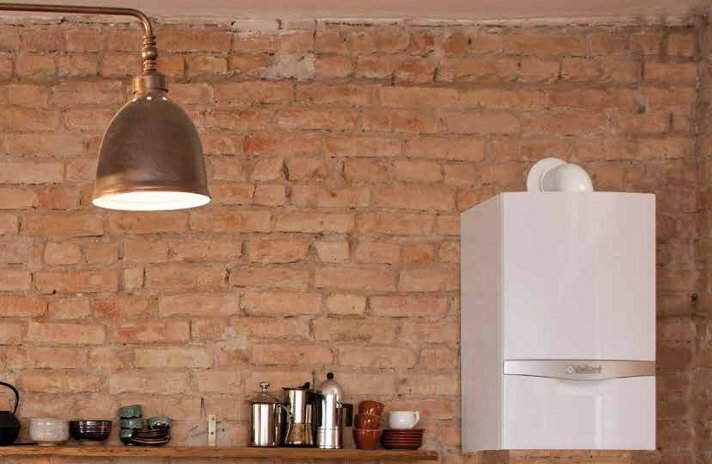 Vaillant is a boiler brand steeped in history and traditions. The company was founded in 1874 in Germany and started making the world’s first gas-fired water boiler in 1894. Ever since that time they have been at the forefront of the domestic heating development currently exploring renewable technologies such as ground source heat pumps and air to water systems alongside their traditional line of business. The best-selling Vaillant ecoTec boiler range consists of 22 different gas boilers with output from 12kW to 38kW. How are Vaillant boilers different from other similar manufacturers? Apart from high efficiency and precision German engineering, their ecoTec range was awarded a Quiet Mark by the UK Noise Abatement Society recognising the lower noise impact of Vaillant’s heating equipment. To see if Vaillant boilers are the right option for your home, fill in the quote form and we will find a boiler that suits you best. The company was founded in 1874.